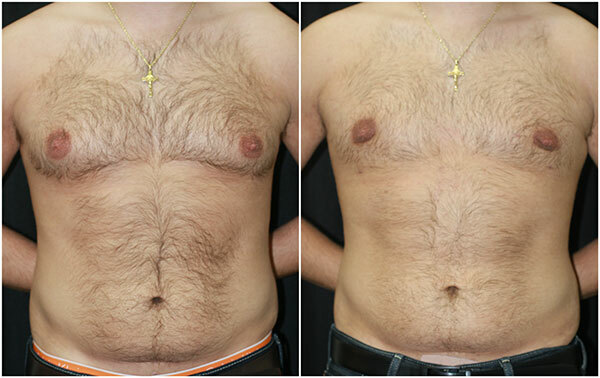 *Disclaimer: Male breast reduction surgery results are not guaranteed and may vary from person to person. Male breast overdevelopment, technically known as gynecomastia, affects an estimated 40 to 60 percent of men! Though certain drugs and medical problems have been linked with male breast over development, there is no known cause in the vast majority of cases. Surgery to correct gynecomastia, otherwise known as male breast reduction surgery, can be performed on healthy men of any age. Located in beautiful Union Square in downtown San Francisco, the practice-the San Francisco Plastic Surgery and Laser Center-has been a Bay Area leader for more than 20 years for cosmetic plastic surgery of the face, breast and body. Learn about financing options and discounts for male breast reduction procedures on our costs & financing page. If you have any further questions regarding gynecomastia or Male Breast Reduction Surgery, or wish to schedule a consultation with Dr. Usha Rajagopal, please call the San Francisco Plastic Surgery & Laser Center at 415-392-3333.